When you call our office you will be greeted by Deanna, Lori C, Susan, Toneta or Rita. Anita Enyart had been our scheduler since 1995, in August of 2016 Anita was relieved of her battle with ALS. She withstood the trials for 3 1/2 years before being healed at heavens door. Her family asks that memorials be made to the ALS Association. Rita Kerrigan began with our office in 1981 after studying Mid-Management at Ball State University. In 1991, after being a dental assistant here, Rita became our office manager. Deanna Norris is a welcome addition to our staff who began her duties in September of this year. She has a warm and caring outlook that envelops our patients. Many of you know Lori Clark as our former hygiene assistant, her employment with us dates back to 1987. She then left to work at Stoneridge returning in 2004. Lori is now our hygiene coordinator. When your conversation involves hygiene Lori will be the one scheduling your appointment. Toneta Bailey, our financial coordinator, has been with us since 2014. She will assist you with any insurance or payment question that you may have. She comes to us from a career in banking and insurance. Your first appointment with our hygiene staff will get you acquainted with Marilyn Laux, Lori Thien or Chrissy Hart. Marilyn Laux worked in this office during high school, and returned in 1987 after being employed as a hygienist for 12 years. Lori Thien graduated from FRHS then after graduating from Rhodes State College she came to our office in 1998 as a hygienist. Also graduating from Rhodes State College is Chrissy Hart. Chrissy began her career as a hygienist in 1998 and joined our office in 2004. When you arrive for your appointment with Dr. Banta you will meet Claudia Caster who worked in our office right out of high school. She was then employed at CTS until coming back to become an expanded duties assistant in 1986. Jackie Patterson became Doctor's chairside assistant in 1987. She had been employed previously with 3D, a former local retailer. Sharing in duties at the front desk and as an expanded assistant is our newest employee, Susan Bunch. Susan has been an assistant since 1989 and is a welcome addition to our office. 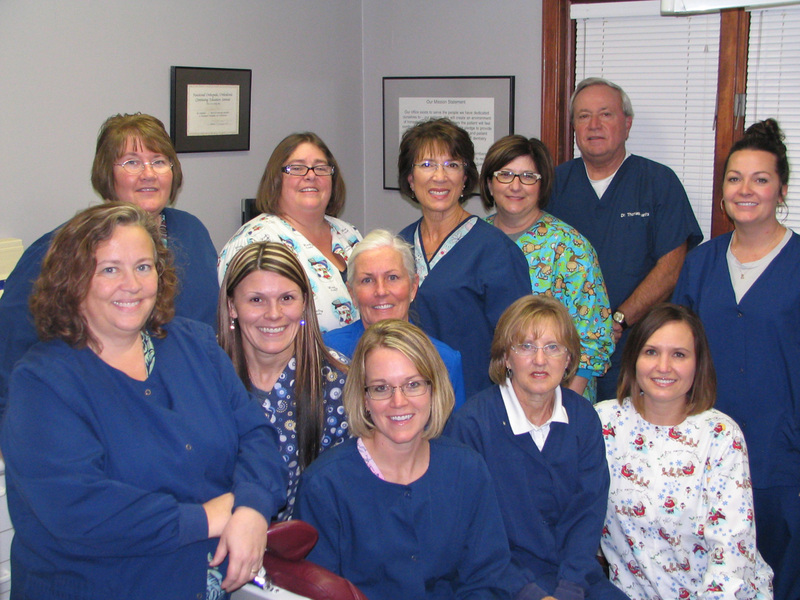 This team serving you has a combined 242 years in dental service. If you include Dr. Banta, we offer you 274 years of experience!